The North American Roller Hockey Championship Series, or simply NARCh, wrapped up its 2017-18 season with a pair of championship events over the summer. 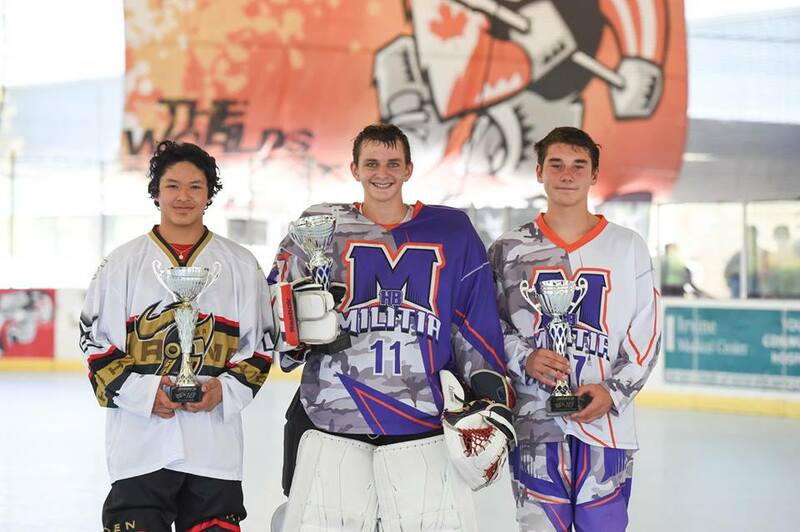 The NARCh West Coast Finals, which topped 210 teams, took place June 21-July 1 at The Rinks-Irvine Inline. The NARCh East Coast Finals followed July 12-22 at The Cooler in Alpharetta, Ga., attracting more than 103 teams with awards in 29 sub-divisions. The combined field of more than 300 teams continues to attest to the popularity of the long-running tournament series, which celebrated its milestone 25th anniversary in 2018. The tournament site in the Deep South provided a homecoming for the extended NARCh caravan, according to company president Daryn Goodwin, a California native. Several California teams made the trek eastward for the season-concluding NARCh championship event. 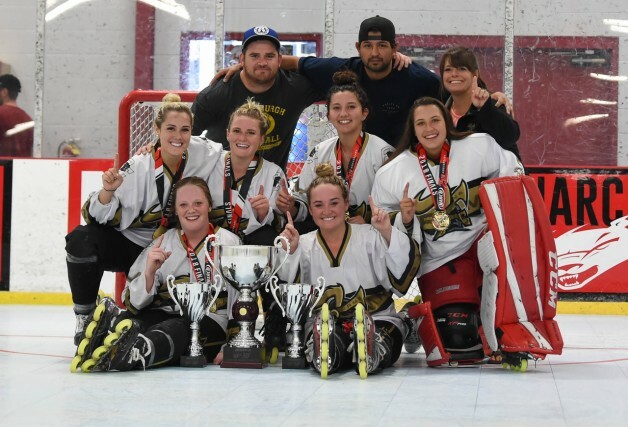 The Pama Labeda Golden Knights skated to the gold medal in the Women’s Platinum Division braced by division high scorer Lindsay Grigg (3.0 points per game) and top goaltender award-winner Frankie Sanchez (.941 save percentage). The NCR Konixx Elite placed third in the 16U Gold Division behind division high scorer Ryan Tuckwood (2.2 points per game) while the Pama Labeda Golden Knights finished third in the Men’s Pro Division. California native Troy Redmann helped guide the Mission Labeda Snipers to the Pro Division gold medal as the division’s top goaltender award-winner (.944 save percentage). Redmann, who played NARCh as a youth, earned top goaltender honors for gold medal champion Team USA at the 2017 International Ice Hockey Federation (IIHF) InLine Hockey World Championship in Slovakia. The Golden Knights’ John Siemer won the fastest skater award in the Men’s Pro skills competition. He won the same award at the NARCh West Coast Finals. While NARCh draws participants on a global scale, the hockey hotbed that supports its starts at the local level. 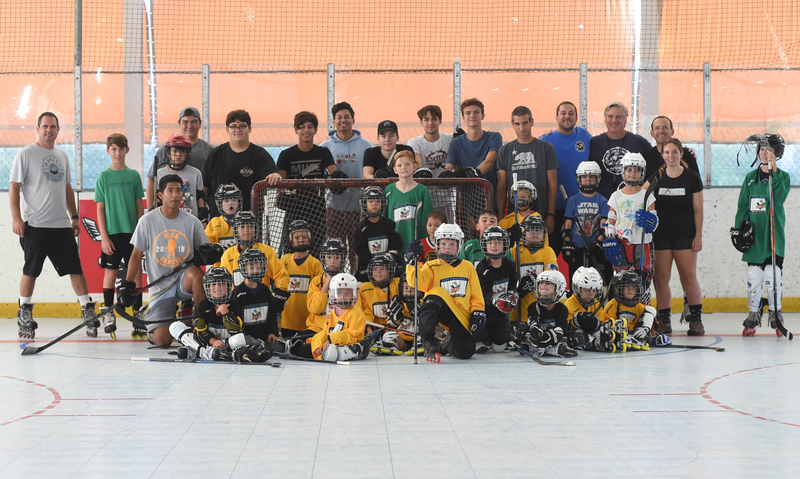 Goodwin recently took over as the inline hockey program director at the Escondido Sports Center in North County San Diego. His goal is to nudge the sport forward in the southernmost region of the state with a strategy that has proven successful with NARCh. Goodwin is hopeful of working out a partnership with the San Diego Gulls American Hockey League (AHL) team to help provide impetus. Interestingly, Gulls defenseman Steven Oleksy is a longtime NARCh participant. Oleksy, who appeared in 54 games for the Gulls last season, has played in 73 career NHL games with the Washington Capitals and Pittsburgh Penguins, winning a Stanley Cup championship with the Penguins in 2016. Oleksy played for Team USA at the 2008 and 2009 IIHF InLine Hockey World Championships. “He’s played a lot of NARCh and a great guy willing to help with kids,” Goodwin said. Goodwin will start the new venture with the Summer Cup men’s tournament Sept. 22-23 at the two-rink Escondido facility. Divisions include Platinum, Gold and Silver for players born in the 2000 birth year or earlier. “It’s the last official weekend of summer, so we are appropriately calling it the Summer Cup,” Goodwin said. Goodwin was “super excited,” in his words, to announced that 28 brand new players had signed up for the Gulls’ Learn-To-Play program that faced off Sept. 8 at the rink. 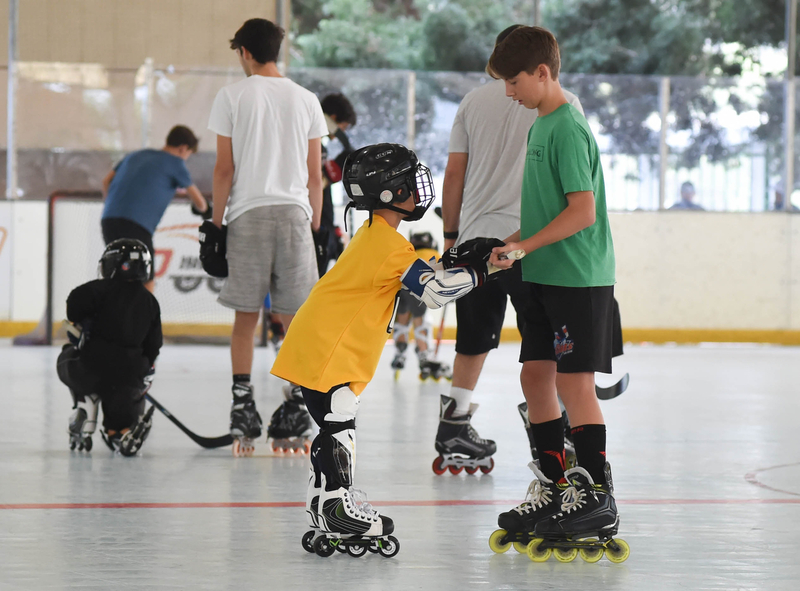 Goodwin said the four-week program, which runs through Oct. 6, is designed for the youngest players (8U) and first timers to get properly introduced to roller hockey. Instruction will cover the basics in skating, stick-handling and shooting, but the emphasis is on having fun, he said. There is no cost for this program. The Gulls have donated 15 sets of gear, not including skates. Loaner skates will also be available upon request for those that need them. Programs at the Escondido Sports Center include those for players at the 10U and middle school age levels as well as high school teams. All three leagues held player evaluations and mini-scrimmages the first week in September. More than 50 players have signed up for the high school league, which will include nine sessions from Sept. 12 through Nov. 14. The 10U Youth League is scheduled to run through Nov. 10 and the Middle School League through Nov. 16. Goodwin has launched a new website for programs at the Escondido facility: www.sdinlinehockey.com.